Do you remember Magic Leap? Yeah, it is the same secretive augmented reality company for which Google cut a cheque of whopping $542 million last year. Yesterday, Magic Leap finally unveiled what they are working on – they have released a video of that is sure to blow your mind. The video shows user accessing websites, checking email, opening desktop apps and folders from thin air with just hand gestures. That itself looks too good to be true. But what comes next is literally jaw-dropping. 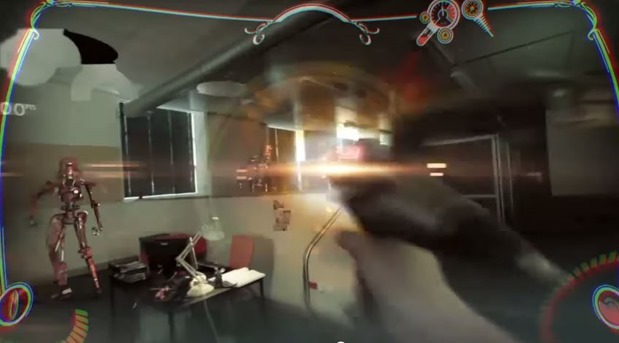 The user in the video opens the game folder, and start playing first person shooting game in his own office surrounding. The gun used is a real gun replica (exactly how you choose on your mobile game, but this is in augmented reality with physical gun replica). And then all hell breaks loose. The enemy starts popping up from everywhere and the player shoots them in augmented reality. The video is question is obviously post-processed and lot of props are used. While in reality, it would not be so awesome, the video definitely gives you a glimpse of how augmented reality will change the way we do things on computers or play games. Check out the video for yourself, and I’d be surprised if you are not in awe! The creators of the video have smartly titled the video – “Just another day in the office at Magic Leap”. While the video still remains at the concept stage, one thing that we can say is that all the tech required for doing something like is available today. The challenging part is to put it all together in a single sleek package for people to access it easily and that’s where the bottleneck lies. You may not be able to do this now or probably even 6 months or year from now. However, we are pretty confident that in 5 years from now this should be available for normal users.